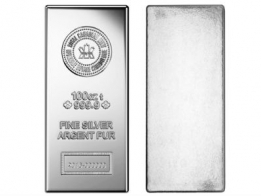 These 1 ounce Perth Mint silver bars are minted. 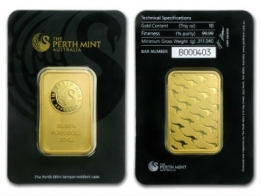 Each bar features the Perth Mint logo at the top, with the bar's weight and fineness located below. The reverse side of the bar features a repeating image of a Kangaroo hopping. These ars are sealed in plastic to prevent tarnishing. 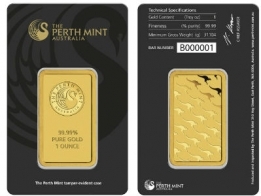 Perth Mint silver bars are available in a range of sizes, including 1 Ounce, 10 Ounce, 1 Kilogram and 100 Ounce silver bars. Perth Mint also produce a range of very popular silver coins, including the Kangaroo, Kookaburra and Koala silver coins. 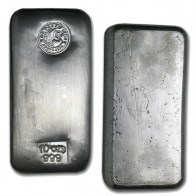 Contact us to sell Perth Mint silver bars.